Available now! 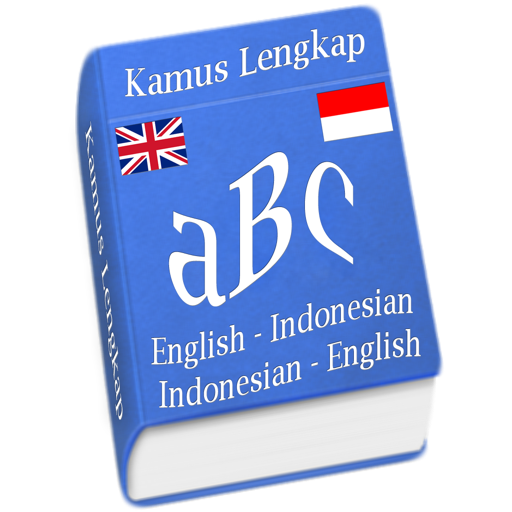 Kamus Lengkap is a very popular, easy to use and complete digital dictionary. 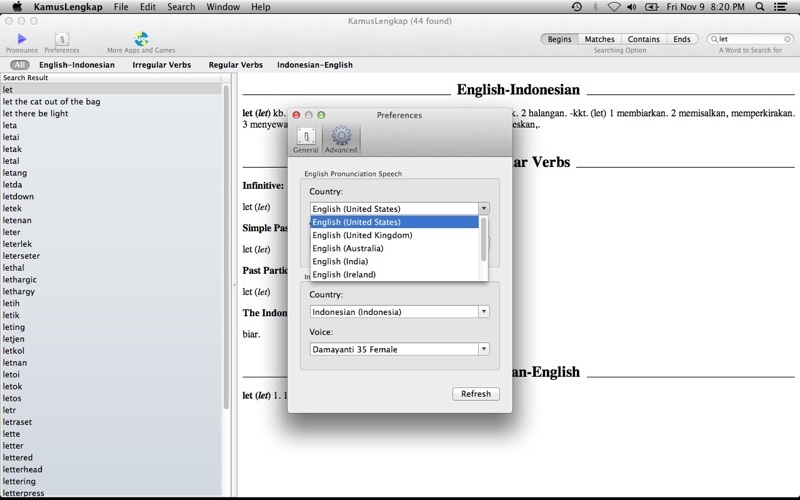 It supports English - Indonesian, Indonesian - English, words, phrases, pronunciations, regular and irregular verb features including infinitive, simple past, past participle and the meaning in Indonesian. This app is a speech-enabled app. It supports English and Indonesian speech voice and text pronunciations in 8 dialects (English (United States), English (United Kingdom), English (Australia), English (India), English (Ireland), English (South Africa), English (Scotish Standard English), and Indonesian (Indonesia)). You can change the voices under the Advanced Preferences menu of this app. - Irregular and regular verbs (infinitive, simple past, past participle, and the meaning). - English and Indonesian speech voice and text pronunciations in 8 dialects. 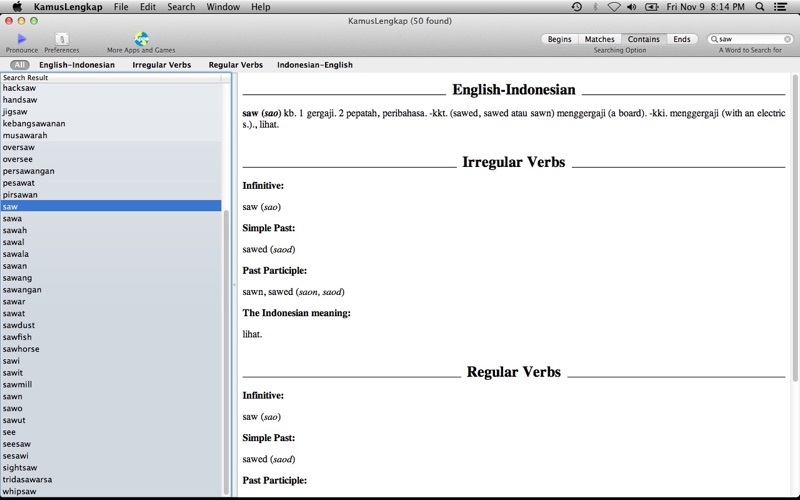 - Dictionary searching filter (All, English - Indonesian, Irregular Verbs, Regular Verbs, Indonesian - English). - Improved regular verb dictionary. Compatibility updates, bug fixes and improvement. - Latest updated ultimate dictionary. - Improved the English speech and pronunciation. - Improved the Bahasa Indonesia speech and pronunciation.